Was converted into a fully fledged private commercial Bank in 1993 with paid up capital of Tk.39.00 crore to serve the nation firm a broader platform. Now NCCBL Established 80 branches so far to provide financing, investment, counseling, underwriting among guarantee, portfolio management etc. along with traditional banking. Since its inception the bank has acquired commendable reputation by providing sincere personalized service to its customers in a technology based environment. The Bank has set up a new standard in financing in the Industrial Trade & Foreign Exchange business. Its various deposits & credit products have also attracted the clients both corporate & individuals who fell comfort in doing business with the Bank. NCCBL is a highly capitalized new generation bank with an authorized capital of the bank is now TK. 5000 million. The bank raised its paid up capital from Tk1, 201.79 million during the year 2005 to Tk. 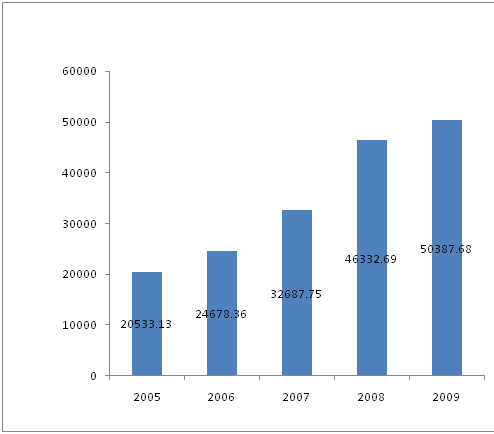 2,248.90 million during the year 2009. With the increase of paid up capital to Tk. 5000 million the capital base of the bank has become strong. NCCBL is now positioned to best suit the financial needs of its customers & them partners of progress. In the 1st chapter At first I have mentioned the main reason for preparing this report after that I have give an idea about role of bank in one countries economy. The main objective of the study is to develop an insight of e-banking & SME prospect of the bank to identify the internet banking system & loan facilities of the NCC Bank Limited. In scope it seems that the report is based on NCC Bank’s e-banking & SME sectors. In preparing this report various limitations are faced the major was restriction in collecting internal information and the way of using various information source for preparing this report also mentioned. 2nd chapter provides an over view of NCC Bank Limited. It is arranged in a manner that will give a sequential idea of NCC Bank’s background, organization, mission, vision, goals and objectives, information, values also the product and services of NCC Bank Limited. It incorporates the discussion on different departments of the bank and the products and services offered by the NCC Bank Limited. 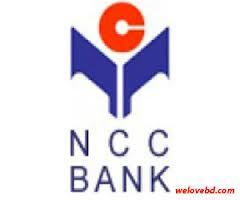 Where it’s found that NCC Bank always thinks to provide high quality products and services to the customers. 3rd chapter deals with the main topics of the report the E-banking & SME services of NCC Bank Limited. Here the different service of e- banking provided by the bank are ATM, debit card, credit card, online banking, visa card their services & facilities interest. SME financing provides the definition, growth rate, interest, characteristics, objectives of SME, background of SME, supportive side by the Bangladesh Bank & whether SME are good or bad are describe here. 4th chapter contains the discussion of SME financing of the NCC Bank which means the impact of SME in GDP. The targeted people, criteria for loans their purposes & modes. The security, interest charged by the bank. The difference between the SME & other banking services. Loan monitoring actions. Distribution of loans and advances & their types of NCC Bank Limited .The types of loans & advances include Continuous Loan, Term Loan, and Demand Loan & Loan under SME. Their processing system of loans & advances. The trend of loans & advances, import & export, & operating profit which show an increasing rate through the last five year performance of the NCC Bank are given though bar diagram. In last I discuss about the future prospect of SME services of the bank. In 5th chapter Findings, Recommendations & Conclusions are given. In findings I have discussed about some problems of NCC Bank Limited to operate their business and also recommended how to remove these problems to operate NCC Bank’s business smoothly in upcoming years and at last Bibliography. Where I mentioned the sources of collecting information for my report. The banking sector of Bangladesh is passing through a tremendous reform under the economic deregulation and opening up economy. Currently this sector is becoming extremely competitive with the arrival of multinational banks, technological infrastructure, effective management, higher performance level and utmost customer satisfaction. NCC Bank Limited follows the policy and practices set by the management and the guideline set by the Bangladesh Bank. As a result, they are performing well in reducing the high classification rate and achieving the profit target of the bank. Bangladesh is a developing country of the third world. The economic condition of this country is not enough. The country is not yet been industrialized. Large portion of population lives under the poverty limit. In spite of these limitations, some sectors are emerging since the last 10 years. Banking sector is one of those rising sectors. In recent times, Small and Medium Enterprises (SMEs) have come into the forefront of development agenda due to the recognition of their contribution in fostering growth, sustaining global economic recovery, generating employment & reducing poverty. Growth of SMEs can reduce poverty through acceleration of economic growth, removal of biases against labor incentive production, creation of employment opportunities for the low-skilled workers & formation of linkages with small supplies. SMEs are in general labor–intensive industries with relatively low capital strength. As such Bangladesh being a labor abundant & capital scare SMEs have a natural comparative advantage. In recognition of the strategic importance of the development of the SMEs in promoting economic –growth, employment generation & poverty alleviation the SME sector has been declared as a priority sector in the Government’s industrial policy 2005 & various measures have been initiated to help maximize the SMEs growth potential. There are many small and medium entrepreneurs in the country that have innovative idea, sprit and potentially to do something productive for local consumers as well as export abroad. They can generate income and contribute to the GDP. They may also provide employment. Development and growth or small and medium enterprise is vital for national development. Such type of beneficial enterprising borrower cannot go a long way for want of financial support because they have no access to institutional credit facilities. I have conducted my internship program in National Credit and Commerce Bank Limited and accordingly prepared this internship report on “Emphasis on E-Banking & SME Banking Prospect Of NCC Bank Limited”. I made this report on the basis of my observation and findings during the period of my internship program. • The first reason is to complete the BBA degree as the internship program is a partial requirement to obtain the degree. • To observe & analyze the performance of the specific Bank as a whole. • To know about the products and services offered by the Bank. • To know the literary meaning of SME & SME finance and its importance in Bangladesh economy. • To be acquainted with SME Financing by a private commercial bank i.e. NCC Bank Limited. • Observation of banking activities. • Conversation with the Head Office & Branch officials of related desk. • Informational conversation with the clients. • Practical work exposures on different desks of the branch covered. • From prior research report. • Annual report (2009-2010) of NCC Bank Limited. • Periodicals Published by Bangladesh Bank. • Different kinds of data regarding from loan & advances & SME Finance. • Published reading materials and books. • Different circulars issued by Head Office & Bangladesh Bank. • Different prospects and brochure published by the bank. • Related issues published in Newspapers and Internet. • Website of Bangladesh Bank, NCC Bank, Ministry of Finance & other related organizations. • SME Foundation office and their web address. • The main constrain of the study was insufficiency of appropriate information, which was required for the study. • Some data are not disclosed due to security and other corporate obligations. • Incorporation of up-to –date data was not possible due to unavailability of the latest data in sources i.e. annual report, web site etc. • Due to time limit many aspects could not be discussed in present report. National Credit and Commerce Bank Ltd. bears a unique history of its own. The organization started its journey in the financial sector of the country as an investment company back in 1985. The aim of the company was to mobilize resources from within and invest them in such way so as to develop country’s Industrial and Trade Sector and playing a catalyst role in the formation of capital market as well. Its membership with the browse helped the company to a great extent in this regard. The company operated up to 1992 with 16 branches and thereafter with the permission of the Central Bank converted in to a fully fledged private commercial Bank in 1993 with paid up capital of Tk. 39.00 crore to serve the nation from a broader platform. At present the amount of paid up capital is Tk 2,284.90 Crore which is 30% higher than that of previous year. Was converted into a full fledged private commercial Bank in 1993 with paid up capital of Tk.39.00 crore to serve the nation firm a broader platform. Now NCCBL Established 79 branches so far to provide financing, investment, counseling, underwriting among guarantee, portfolio management etc. along with traditional banking. Since its inception the bank has acquired commendable reputation by providing sincere personalized service to its customers in a technology based environment. The Bank has set up a new standard in financing in the Industrial Trade & Foreign Exchange business. Its various deposits & credit products have also attracted the clients both corporate & individuals who fell comfort in doing business with the Bank. The activities of NCCBL encompass a wide range of services including accepting deposits, making loans, discounting bills, conducting money transfer, foreign exchange transactions & performing other related services such as safekeeping collection, issuing guarantees, acceptances, & letter of credits through its branches in Bangladesh & foreign. They also involved in buying & selling of securities for its customers through Brokerage House. The bank carries out all these activities by busing a membership share of DSE Ltd. & CSE Ltd.
NCCBL is the pioneer of lending loan on diversified area on Working Capital Financing, Commercial & Trade Financing, Long Term (Capital) Financing, House Building Financing, Retail & Consumer Financing, SME Financing, Agricultural Financing, & on Import & Export Financing. NCCBL has divided its loan into four parts on Continuous Loan, Term Loan, and Demand Loan & under SME. Before disbursing loan NCCBL has follow some rules & regulations by completing new forms such as: Application form, Application for investing, Collecting CIB report, Making investment proposal, Project appraisal, and Head Office approval. After fulfill the above documentation procedures loan is sanctioned. The percentage of loan able funds are Working Capital Financing is 45%, Industries 25%,Small Industries & various sect oral finance under Government 15%, Real estate & Civil construction 5%, Agro-based financing is 5%, Lease financing 3%, Consumer Financing is 2%. The trends of loan & advances are increasing at an increasing rate from Tk. 20533.13 to Tk. 50387.68 from 2005 to 2009. This figure shows that the loan & advances has increased. After all the profit margin of NCCBL is increasing at an increasing rate. The NCCBL has strong risk management procedures. The risk management of the bank covers core risk areas of banking VIZ. credit risk, liquidity risk, arising from money laundering incidences. The prime objective of the risk management is that the bank evaluates & taken well calculative business risks & there by safeguarding the banks capitals, its financial resources & profitability from various business risks through its own measures & through implementing Bangladesh Bank guidelines & following some of the best practices. During providing loan the NCCBL follow the credit risk grading score by giving score based on financial risk (50), business risk (18), management risk (12), and security risk (10), and relationship risk (10). When a company or individual shows (85+) then it consider goods & applicable for loan without any doubt. When it is (75 to 84) then it considered applicable, when it score (65to 74) then it consider marginal or watch list, when it obtain (55 to 64) then it consider special mention, when it score (44 to 54) then it consider to be substandard. The loan recovery procedure of NCCB is very good then others. Though the bank has few weaknesses on online banking on ATM Card, Credit Card & other perspective, but the NCC bank has play an important role in developing the socioeconomic sector by providing loan in diversified area in the country . And play an important role in reducing unemployment problem by providing loan productive sector. Since its inception NCC Bank Ltd. has acquired commendable reputation by providing sincere personalized service to its customers in a technology based environment. The Bank has set up a new standard in financing in the Industrial, Trade and Foreign exchange business. Its various deposit & credit products have also attracted the clients-both corporate and individuals who feel comfort in doing business with the Bank. • All types of commercial banking activities including Money Market operations. • Investment in Merchant Banking activities. • Investment in Company activities. • Financiers, Promoters, Capitalists etc. • Any related Financial Services. Head Office operates the branches, SME service centers and brokerage house throughout the country. To become the Bank of Choice in serving the nation as a progressive and Socially Responsible financial institution by bringing credit & commerce together for profit and sustainable growth. To mobilize financial resources from within and abroad to contribute to Agriculture’s, Industry & Socio-economic development of the country and to play a catalytic role in the formation of capital market. The possible steps that are taken to introduce technology based banking products & services to the customers. At present 142 ATM booth are under E-Banking services. • Interest rate is 2% per month. You do not need to carry cash any more if you have a NCC Bank Credit Card. You can withdraw cash up to 50% of your credit limit from any ATM across the country that shows Visa logo. NCC Bank Visa Credit Card offers you free Credit facility up to 45 days and minimum of 15 days without any interest (Purchase only). NCC bank Visa Credit Card holder can also enjoy spouse Credit Card free of cost for lifetime and issue more Supplementary card. • Fast and Accurate Services. • Attractive Pricing (Annual fee 50% discount on card fee) . • Smiling faces of the Bankers. • Good Ambience in the Bank. If anyone holds other Bank Credit Card, then NCC Bank will issue a credit card with equivalent limit and will issue a pay order by debiting card A/C from balance transfer option for the equivalent amount of total outstanding in order to full settlement and cancellation of other Bank A/C. Since Small and Medium scale entrepreneurs (SMEs) represent the individual & community level initiative & contribution towards the greater national economy, poverty alleviation models pursued by the government & non-government bodies consider SMEs development as one of their major area of intervention. There does not exist any unanimous and universally acceptable definition of SMEs in Bangladesh. The practice of different institutions/agencies is to define SMEs keeping their own perspectives and strategies in view. Conceptually the main difference among the alternative definitions arises in terms of number of employment and volume of invested capital. • Informal nature of process & procedure. • Cash based transaction (minimal bank involvement). • Cash flow of business intermingled with family cash flow. • Avoid government (minimal permit, license). • Do not have access to formal credit because they lack collateral mostly depend on friendly & family and informal source for capital. • Fast growing business without sufficient resources to invest in R & D and process technology. • To provide credit facilities to the small and medium entrepreneurs located at urban and sub-urban areas and easily accessible by our branches. • To floe credit for creation of employment and generation of income on a sustainable basis through development of small and medium enterprises. • To assist potential entrepreneurs to take part in economic activities so that they can improve their living standard. • To reduce dependence on moneylenders. • To make the small and medium enterprises self reliant. • To develop saving habit and making acquaintance with banking facilities. • To inspire for undertaking small projects for creation employment through income generation activities. SME policy was developed in 2005 by the Ministry of Industries. SME Foundation is an apex body of SME development. The prime vision of the SME Foundation is to ensure welfare of the young & innovative entrepreneurs of small & medium enterprises with a view to mainstream them in the economic activities. Some other policy guideline like The Prudential Regulation for SME Financing of Bangladesh Bank-2001 and Micro Credit Regulatory Act-2006 was introduced for a full fledged foundation for SME growth, support & competitiveness under the ministry of Industries. Bangladesh Bank as the central bank of the country is playing an important role regarding SME financing in issuing circular from time to time for increasing access to finance. This will ensure growth, economic development, enhance employment and empower people to rise above the poverty. Moreover, Bangladesh Bank (BB) created special fund known as ‘Small Enterprise Fund (SEF)’ amounting TK 100.00 crore set forth in BB’s ACSPD Circular No. 01 dated 02-05-04 and has introduced a Refinance Scheme for Small Enterprise Sector to provide 100% refinance facilities to support the development of the small enterprise sectors through banks and financial institutions at a concessional rate of interest that is prevailing bank rate. Recently, under BB, ACSPD Circular No. 03 dated 12.06.2008 Bangladesh Bank raised Tk. 300.00 to TK 500.00 crore (hereinafter called SEF) to meet refinance facilities to meet growing demand of banks and financial institutions. Lastly, in 305th meeting dated 29.03.2009 of BB Board of Directors raised the fund of TK 500.00 crore to TK 600.00 crore. It is required to enter into a participation agreement between BB and the lending banks and financial institutions interested to avail of the refinance facilities from BB’s SEF through ACSPD Circular No. 02 dated 19.07.2005. BB shall provide refinance facilities against the loans made by the participating bank/financial institution to the small entrepreneurs the amount of which in individual case shall range from Tk. 2.00 lac to Tk. 50 lac and tk. 1.00 lac to Tk. 50.00 lac for women entrepreneur. A small enterprise development fund of US$ 10.00 million made available to BB by International Development Association (IDA) under the Development Credit Agreement, dated 03.06.2004 between the IDA and the Govt. of the Peoples Republic of Bangladesh, the proceeds of which will be pooled with the BB’s SEF for refinancing the small enterprise lending of banks and financial institutions. The annually disbursed of total loan able fund 40% for small entrepreneurs & rest 60% for medium enterprise. In order to mobilize, extend and strengthen the SME sector a participation agreement of US$ 30 million between ADB & BB and regarding its refinance BB ACSPD circular No. 02 dated 19.07.2005 was issued. 3.7 Why SME are languishing? If the SME case is so good, why aren’t the SMEs of Bangladesh doing better? Neither the Bangladesh Bureau of Statistics nor the Annual Economic Review of the Ministry of Finance shows industrial statistics segregating data for SMEs. The coverage id restricted to large & small industries, whatever might be the definitions of these two categories. There are many small and medium entrepreneurs in the country that have innovative idea, sprit and potentiality to do something productive for local consumers as well as export abroad. They can generate income and contribute to the GDP. They may also provide employment. Development and growth of small and medium enterprise is vital for national development. Such type of beneficial enterprising borrower cannot go a long way for want of financial support because they have no access to institutional credit facilities. National Credit and Commerce Bank Limited is committed to play positive role in the overall socioeconomic development of the country. In view of the above a credit scheme titled “Small & Medium Enterprise Financing Scheme (SME)” has been formulated. Taking this aspect into consideration and with a view to expanding our bank’s investment base and to associate us more effectively with a profitable, socially desirable and economically viable investment area, the board of directors of the bank has approved introduction of SME Financing Scheme. • Small and medium entrepreneurs. • Located at urban and sub-urban areas. • Easily accessible by our branches. • Profitable business or viable business plan. • The bank shall maintain savings/current/STD account with the concerned branch of our bank. • The entrepreneurs must be literate i.e. capable of reading and writing. • The entrepreneurs should be skilled in managing his/her business. • If the applicant is an individual, the borrower must be a national or permanent resident of Bangladesh. If the borrower is a firm or other business entity it must be in Bangladesh. • The entity of the applicant must be 100% privately owned, controlled and operated. • The project should be financially viable and socially desirable. • The sponsors/applicant shall have reputation in the society. • The innovative project, manufacturing enterprise shall get preference. • Proper utilization and timely repayment of previous loan will be considered as proven track record of the applicant for renewal & enhancement of credit facility. • Import and installation of capital machinery. • Acquisition of delivery van/ transport for business purpose. Cash credit (H) for maximum of 1 year period. Lease finance for used/ reconditioned machinery/vehicle maximum 3 years and for new maximum 5 years. Term loan for business, maximum 5 years. Secured Overdraft (General) against work order. Loan against Trust Receipt (LTR) for maximum of 1 year. Bank Guarantee (Bid & Performance. For allowing CC (H), Lease Financing & Term Loan under SME Financing should be followed/ observed the concept as mentioned under SL#3 in addition to the existing securities, terms and conditions of CC (H), Lease Financing & Term Loan. Other charges Other charges to be realized as per prevailing rate of particular area of financing. Manufacturing, distributing or servicing of alcoholic beverages. Un-manufactured tobacco, tobacco refuse, manufactured tobacco (whether or not containing tobacco substitutes), & tobacco processing machinery. Radioactive and associate materials, nuclear reactors and parts thereof, non- irradiated for nuclear reactors and fuel elements (cartridges). Goods intended for a military or parliamentary purpose, environmentally hazardous goods, and personal or consumer loans including house building loans. Production and trading of any time banned by the government. Any activity not permissible by the law of the land. National Credit & Commerce bank limited has disbursed about Tk. 855.79 crore in Small & Medium Enterprise sector up to the year 2009 out portion of its total loans and advances figure of Tk. 4633.27 crore. 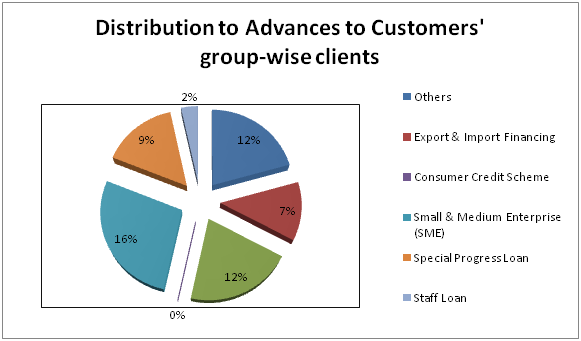 The portion invested in SME sector is about 18.4% of the total loan exposure. Of the total SME loan figure of Tk. 855.80 crore, major concentration was given in working capital finance. About 90.17% of the SME loan was disbursed in this mode. Less concentration was given to Term Loan & Demand Loan in the form of Small Business Loan & Festival Loan, Loans amount in the area is Tk. 42.42 crore & 11.69 crore respectively. 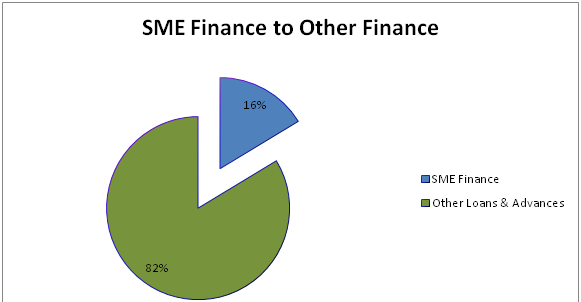 The following table depicts the category of loans disbursed under SME Finance along their percentage. Small & Medium Enterprise sector and rest of the 82% were disbursed in other areas like agriculture, industry, construction, housing & others. Regular checking the balance of SB/CD/STD accounts of the borrower. Regular communication with the defaulter customers & guarantors physically/ over telephone. Issuance of letter to customers immediately after dishonor of cheque. Issuance of letter to the defaulter customers and respective guarantors. Issuance of legal notice to the defaulter customers & guarantors prior to classification of the loans (after 03 overdue installments). Issuance of Appreciation / Greetings letter to the regular customers. Periodical visit with the customer to maintain relationship & supervision of supplied articles. Legal action to be taken after failing all possible efforts to recover the bank’s dues. Visit to the establishment must be done at least once a month. During visit of the project motivational work to be done with a view to strengthening the sprit & morals of the sponsors. A visit report should be recorded in credit file against each visit. Supervision will be done by the respective branches, which will be monitored by the SME unit, Credit Division, Head Office. Bank’s distinct name board to be displayed on the prominent place of the project /shop/factory with the following writing. Financed by National Credit & Commerce bank limited, Dhanmondi Branch. %), Others (3%) SME (16%), & House Building Loan (14%) etc. 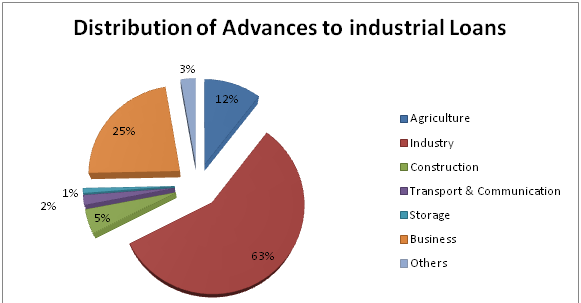 out of the total industrial loan major concentration was given to Industry (63%). SOD (FO) – Advance is granted to a client against financial obligations. The security of advance is granted to the person to whom the instrument belongs. The discharge instrument is surrender to the bank along with a letter signed by holder/holders. The banks lien is prominently noted on the face of the instrument under the signatures of an authorized bank official. Interest rate is 14% to 16%. SOD (G) – Granted against the work order of government departments corporations autonomous bodies & reported multinational private organization. To arrive at logical decision, the client’s managerial capability, equity strength, nature of scheduled work is to be judged. Disbursement is made after completion of documentation formalities, besides usual charge, documents like a notarized irrevocable power of attorney to collect & a letter from the concerned authority confirming direct payment to the bank is also obtained. The work is strictly monitored to review the progress at each interest. Interest rate is 14% to 16%. Loan (General) – NCCBL considers the loans, which are sanctioned for more than 1 year as loan (G). Under this facility, an enterprise is financed from the starting to its finishing, i.e. from installment to its production. NCCBL offers this facility only to big industries. CC (Hypothecation) – The mortgage of movable property for security loan is called hypothecation. Hypothecation is a legal transaction whereby goods are made available to the lending banker as security for a debt without transferring either possessing. The banker has only equitable charge on stocks, which practically means nothing. Since the goods always remain in the physical possession of the borrower, there is much risk to the bank. So it is granted to parties of undoubted means with highest integrity. Interest rate is 16%. CC (Pledge) – Transfer of possession in the judicial sense of essential in the valid pledge. In case of pledge, the bank acquires the possession of the goods or a right to hold goods until the repayment for credit with a special right to sell after due notice to the borrower in the event of non-repayment. Interest rate is 16%. Lease Finance- This type of financing are usually provided to transportation sector. Now a day this lease financing is one of the popular financing projects. Rate of interest is 15%. House Building Loan- This loan is provided against 100% cash collateral, besides; the land & building are also mortgaged with the bank. Interest rate is 16% per annum overdue installment of this loan is obliged to pay very shortly. The loan is under unclassified loan. Loan against Imported Merchandise (LIM) – Advances allowed for retirement of shipping documents & release of goods imported through L/C taking effective control over the goods by pledge fall under this type of advance, when the importer failed to pay the amount payable to the exporter against import L/C, than NCCBL gives loan against imported merchandise to the importer. The importer will bear all the expenses i.e. the warehouse charge, insurance fees, etc. & the ownership of the goods is retaining to the bank. This is also a temporary advance connected with import, which is known as past import finance. Interest rate is 16%. Loan against Trust Receipt (LTR) – Investment allowed for retirement of shipping documents & release of goods imported through L/C fall under this heard. The goods are handed over to the importer under trust with the arrangement that sale proceeds should be deposited to liquidate the investments within a given period. This is also a temporary investment connected with import & knows as post- import finance & falls under the category “commercial lending”. Interest rate is 16%. Loan Documentary Bill Purchase (LDBP) – Payment made against documents representing sell of goods to local export oriented industries, which are deemed as exports & which are deemed as imports, & which are dominated in local currency/ foreign currency falls under this head. The bill of exchange is held as the primary security. The clients submit the issuance bill & the bank discounts it. This temporarily liability is adjustable from the proceeds off the bill. Interest rate is 16%. Inland Bill Purchase (IBP) – Payment made through purchase of inland bills/ cheques to meet urgent requirement of the customer falls under this type of investment facility. This temporary investment is adjustable from the proceeds of bills/ cheques purchase for collection. It falls under the category “commercial lending”. Consumer Credit Scheme- This scheme is aimed to attract consumers from the middle & upper middle class population with limited income. The borrower should have savings or current deposits account with the bank. Minimum 25% of the purchase cost of the bank product is to be deposited by the borrower with the bank is equity before the disbursement of the loan. The rest 75% is to be kept as cash collateral (FDR, Shachay Patra etc.) with the bank. The purchase items are hypothecated with the bank. This disbursement of the loan is effected by debting loan (general) account to the opened in the same of the borrower. Loan amount is disbursed through a/c payee pay order / demand draft directly to the seller after submission of the indent, deposit of client equity & completion of documentation formalities. Working Capital Loan- Loans allowed to the manufacturing unit to meet their working capital requirement, irrespective of their size big, medium or large under the category. House Repairing /Renovation Loan- This loan is offered for renovation & modernization of the house/ building/flat. The genuine residential owners can avail this kind of loan. Loan can be repaid by monthly equal installments including interest within maximum 5 years. Interest rate is 16%. Small Business Loan- This loan is offered to the small & promising entrepreneurs to meet their capital requirement & enable them to operate & expand the business purposely. It is approved against collateral & estimation of the revenue generation of the project for which the loan is sanctioned. The range of this type of loan is Tk. 1 to 5 lac. Personal Loan-This loan is provided to salaried persons in various organizations to meet any emergency cash needs. Interest rate is 15% per annum & maximum credit ceiling is Tk. 100000. Duly fill-up first information sheet. Collecting CIB report from Bangladesh Bank. Name of the concern with its factory location. Officers address & telephone number. Name of the main sponsors with their educational qualification. Business experience of the sponsors. Details of past and present business, it achievement and failures. Name of all the concerns wherein the sponsors have involvement. Income tax registration number with the amount of tax paid for the last three years. Details of unencumbered assets personally owned by the sponsors. Details of liabilities with other Banks and financial institutions including securities held there against. Estimated cost of the project & means of finance. Application for investment: After receiving the first information sheet from the borrower Bank official verifies all the information carefully. He also checks the account maintains by the borrower with the Bank. If the official becomes satisfied then he gives application or investment form to the prospective borrower. Collecting CIB report from Bangladesh Bank: After receiving the application for advance, NCC Bank sends a letter to Bangladesh Bank for obtaining a report from there. This report is called CIB (Credit Information Bureau) report. NCC Bank generally seeks this report from the head office for all kinds of investment. The purpose of this report is to being informed that whether the borrower has taken loan from any other Bank; if ‘yes’ then whether the party has any overdue amount of root. Photocopy of the borrower duly attested. Bio data of the borrower. Main sponsors/ director with background. Account opening date, introduced by type of business, particulars of previous sanctions. Components on the conduct of the account. Details of deposits, liabilities of allied concerns, liabilities with other Banks. Rated capacity of the project (item wise). 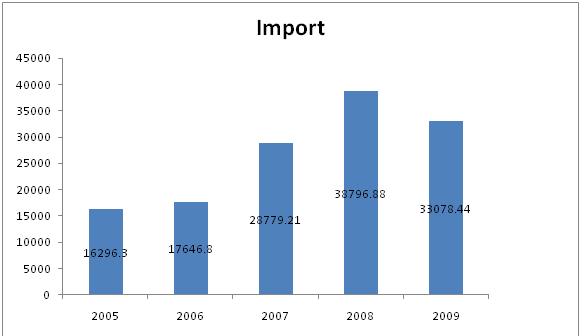 Production/ purchase during the period. Earning received for the period. To justify the soundness of an investment. To ensure repayment of Bank finance. To recommend if the project is not designed properly. Period of the investment and mode of adjustment. Pledge: – Pledge is the bailment of goods as security for payment of a debt or performance of a promise. A pledge may be in respect of goods including stocks a and share as well as documents of title to goods such as railway receipts, bills of landing, dock warrants etc. duly endorsed in Bank’s favor. Hypothecation: – In case of hypothecation the possession and the ownership of goods both rest the borrower. The borrower to the Banker creates an equitable charge on the security. The borrower does this by executing a document known as Agreement of Hypothecation in favor of the lending Bank. Mortgage:- Accounting to section (58) of the Transfer of Property Act, 1982 mortgage is the transfer of an interest in specific immovable property for the purpose of securing the payment of money advance or to advanced by way of loan, existing or future debt or the performance of an engagement which may give rise to a pecuniary liability. In this case the mortgage dose not transfer the ownership of the specific immovable property to the mortgagee only transfers some of his rights as an owner. The Banker exercises the equitable mortgage. Assignment: – Assignment means transfer of any existing or future right, property or debt by one person to another person. The person who assigns the property is called assignee. Usually assignments are made of actionable claims such as book debts, insurance claims etc. In banking business, a borrower may assign to the Banker (1) the book debts (2) money due from government’s debt (3) insurance policy. Set-off: – Set-off means the total or partial merging of a claim of one person against another in a counter claim by the latter against the former. It is in effect the combining of accounts between a debtor and a creditor so as to arrive at the net balance payable to one r the other. It is a right, which accrues to the Banker as a result of the Banker-customer relationship. Set-off arises when a debtor or his creditor wishes to arrive at the net figure owing between them when separate accounts or debt are involved. Recovery: It is the duty of the recovery department of the Bank to recover the landed fund within the stipulated time & if the borrower fails to repay the money within the said period Bank will declare him as a defaulter & recover the fund by selling the securities given by the borrower or by freezing his account or make a suit against him. Loans & Advances figure as on 31.12.09 was TK50, 387.68 million which was 9% higher than that of previous year loans & advances figure of Tk.46, 332.69 million. During 2019, NCC Bank Limited handled export and import business for TK. 11,903.72 million & TK. 33,078.44 million. 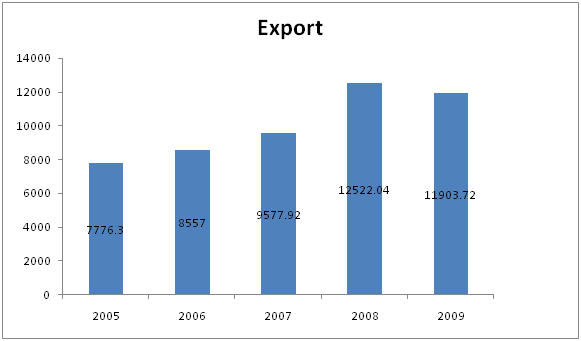 Respectively this was 5% & 15% higher than that of previous year export and import figure of Tk. 12,522.04 & 38,796.88 million. Profit position of NCC Bank Limited is good. In 2009 the Bank earned a handsome profit figure of Tk. 3,137.70 million, which is 33% higher than that of last year operating profit figure of Tk.2, 363.49 million. Enhance standards of services, fee-based income & strive to achieve greater cost efficiency & staff productively. Ensure sustainable & steady growth. 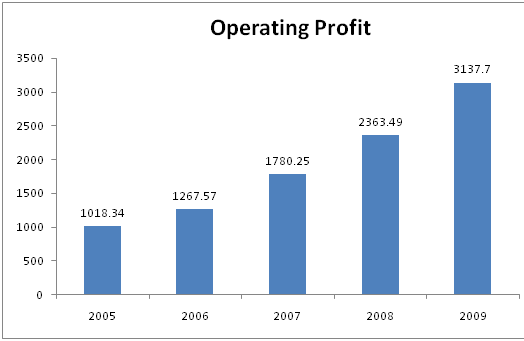 NCC Bank Limited has already achieved a high growth rate accompanied by an impressive profit growth rate in 2010. The amount of deposit and investment are also increasing rapidly. NCC Bank Limited has already established a favorable reputation in the banking industry of the country. It is one of leading private sector commercial banks in Bangladesh with 80 branches, 7 SME Service Centers, 2 ATM booths & 17 brokerage houses. NCC Bank Limited has incorporated online banking system in their operation with FLORABANK banking software. All of the branches are now connected with this online banking system. NCC Bank Limited has introduced Debit Card to promote its customers with 24hours banking facilities. The card can be used only by third parties booth as the bank has no ATM booth of its own. NCC Bank Limited has achieved an outstanding performance in receiving foreign remittance. They have made arrangement with a number of agencies like MONEYGRAM, PLACID XPRESS, XPRESS Money, UAE Exchange, DHAKA JANATA and so forth. Marketing policy of NCC Bank Limited is very poor. NCC Bank Limited has introduced a number of products and services as per the requirement of the business and individual’s people. But the highlight of the product by using proper marketing channel was absent. To accelerate the amount of investment in Small and Medium Enterprise Sector NCC Bank Limited has established 7 SME service centers. The amount invested in SME sector compared with other sector is not satisfactory. The operation of SME loan is not complying with CRM policy or Bangladesh Bank guideline. Loan application processing, disbursement, documentation and recovery of loan-all the tasks are carried out in one desk. But this is not complying with a good credit policy. Like other private commercial banks, NCC bank ltd. has no special recovery team, who may be used to recover bank dues, which might not be possible by the regular desk officers. They will establish 60 ATM booths by this year. In order to fostering economic growth, to generate employment & reducing poverty NCC Bank Limited may enhance their budgetary allocation in SME sector financing. The fund disbursed under SME Financing will be redefined by Bangladesh Bank at prevailing Bank rate. To make more investment in Small & Medium Enterprise sector in order to contribute in national economic development , the bank need to establish more SME service centre to the remote rural areas. NCC Bank Limited may give instructions to all of its branches, whether located at urban or rural areas, to make marketing of SME loans and to disburse a remarkable amount of loans under SME finance. NCC Bank may introduce different range of loan products and other services for the SME customers according to the nature of enterprises and according to the needs of the customer. The procedure of SME loan operation must follow Bangladesh Bank CRM Policy, where loan application processing, disbursement, documentation and recovery need to be decentralized. Different officials may be assigned in each of the tasks which may results significant profit & growth of the organization. NCC Bank Limited may not invest directly to the SME sector rather they may use the NGOs as intermediary, its may lower operating & monitoring costs and amount of default of the bank. NCC Bank should give more attention to advertisement for creating more attraction among its customers, which is helpful to collect more deposits and increase investments scope. That’s why bank should give emphasis on advertisement in various media like TV, News Paper, Internet and Billboard. NCC Bank may introduce third party recovery team like other private commercial bank to recover the bank’s dues which has already been defaulted. Otherwise from different branches, who have shown their efficiency in recovery. The team may be guided & monitored by Head Office recovery division. NCC Bank Limited needs to install ATM booth of its own in their branches & in prime location to give better service to its customer. Now NCCBL Established 80 branches so far to provide financing, investment, counseling, underwriting among guarantee, portfolio management etc. along with traditional banking. Since its inception the bank has acquired commendable reputation by providing sincere personalized service to its customers in a technology based environment. The Bank has set up a new standard in financing in the Industrial Trade & Foreign Exchange business. Its various deposits & credit products have also attracted the clients both corporate & individuals who fell comfort in doing business with the Bank.